Constructing sturdy relationships between architects, designers and builders and those looking for their dream home, we’ve shaped strategic, innovative campaigns from the ground up. From open houses to model tours, warm leads, contracts and closings, the ethnography of the homebuyer is evolving rapidly from off to online. We welcome you to appraise our homebuilder creative case studies. Want to stay ahead of the curve in the ever-changing world of advertising? 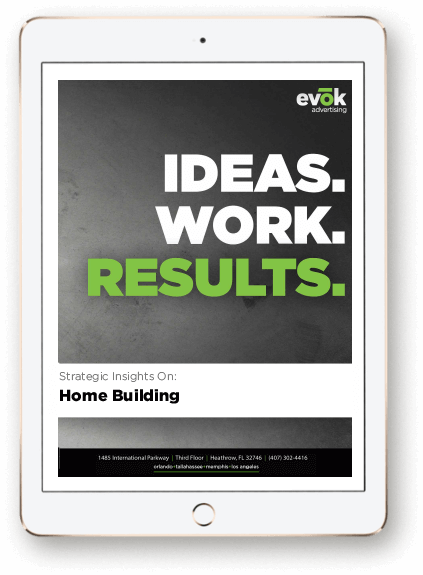 Get the latest insights on the home building industry in our e-book.